UNIBEST Ag Manager™ Resin Soil Testing is proving to be the leading indicator to plant nutrition through critical soil release measurements modeled against crop nutrient requirements in Lbs/Ac/Day. This PREDICTIVE measurement focuses not on the soils total nutrient level (lb/ac), but that soils ability to release those nutrients at rates that match Plant Uptake Demands (Lbs/Ac/Day). Yield and quality is being left in the field by not leveraging this critical measurement that is now commercially available after years of University Research. Start building soils to release nutrients that match specific crop demands throughout the growing season. Published research from plant measurement's provides data associated with crop acquisition requirements (lbs/Ac/Day) necessary at specific growth stages. To Maximize yield & quality, crops depend on soils to supply specific levels of available nutrients at key growth stages to match nutrient uptake demands. 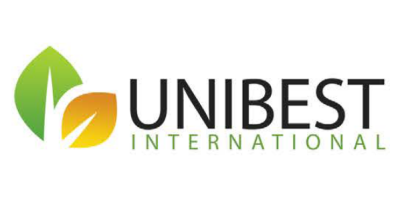 UNIBEST Ag Manager™ blends specific crop nutrient acquisition requirements with predictive soil level release characteristics to provide the precision data required for the future of precision agriculture. UNIBEST Ag Manager™ bridges the gap between the two conventional testing methods by revealing only the plant-available portion of the total nutrient pool. Send sample(s) to a licensed UNIBEST Ag Manager™ Laboratory or acquire UNIBEST Ag Manager™ sample kits to prepare your own sample(s). When the UNIBEST Laboratory receives your soil sample(s), qualified technicians use the proprietary UNIBEST Laboratory Method to provide a consistent and repeatable analysis. No reviews were found for Ag Manager - Resin Soil Testing Software. Be the first to review!